MHI life warranty of one year includes heaters. It is based on the rated exit air flow temperature. High uniformity. Sealed. 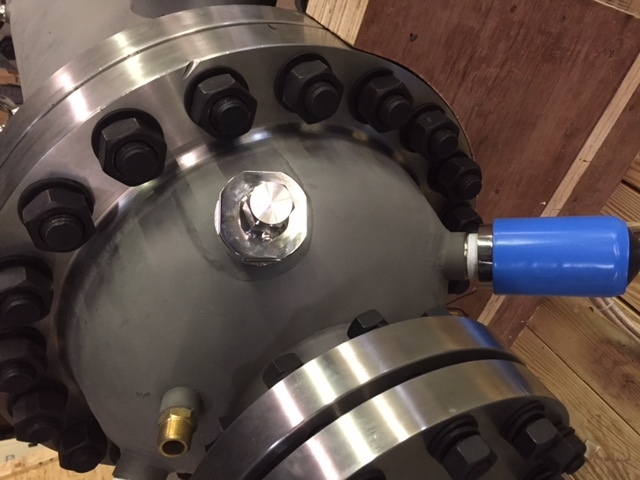 Flanges and mating flanges provided as described. Continuously adjustable air flow and temperature with flow valve and MHI power controller. Several safety features. Multiple thermocouple locations. New* MVTA (THN) advanced systems from 36kW, 72kW or higher kW. Beat all prices. MHI offers DirectFlow™ Airtorch models. 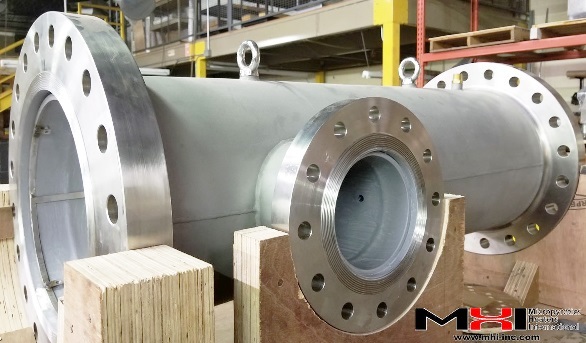 MHI uses its combined thermal knowledge across diverse equipment offerings to provide low friction flows. 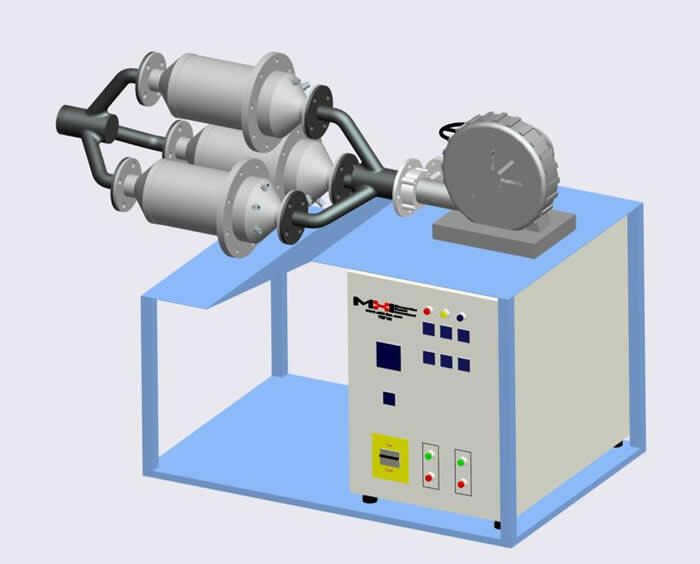 Use for flow simulation, rapid drying ceramics and metal, high temperature flow induced chemical thermodynamics, test beds, efficient drying. The Airtorch is a SmartEnergy device. Inlet temperatures can be high on specific models. Choice of supply voltage. 50/60Hz. MHI control panels handle all voltages 220V, 240V, 380V, 440V, 480V, 600V. *Unit Life and Safety: MVTA units provide forgiveness for temperature exposures beyond their rated capacity even up to 100°C for many models. Even for the 1000°C models. Calculate 3 phase electric power? For very high pressure and high temperature greater than 800C units GVTA or GTA models please click here. 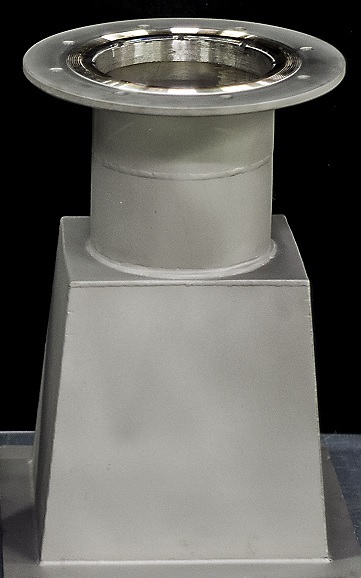 THN Models Have Cone Down Flanges Included. Airtorch™ High Power, Three Phase Systems. 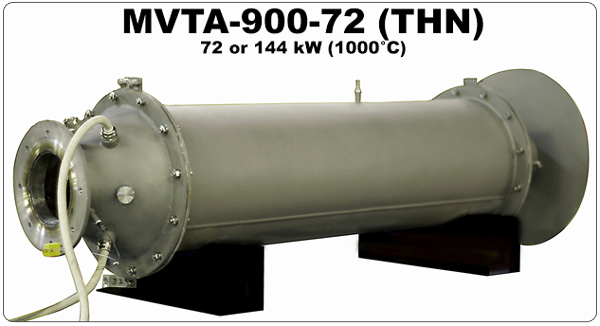 MVTA model for 72 or 144 kW (1000°C). MVTA925- 4 KW or 12 KW (900°C). *For high kW in both the GTA and MVTA Airtorch class, please note that MHI provides a 1 year warranty and no-cost of heating element change for 1 year. 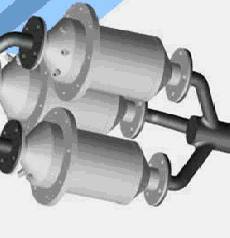 Double flanged units, ASME-flange specifications. Please contact MHI. 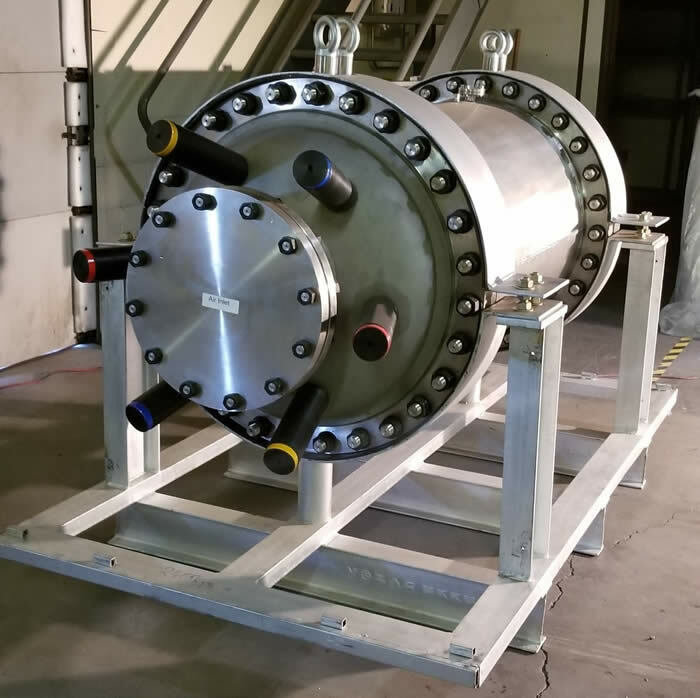 The high power three phase Airtorch™ configuration yields a large amount of high temperature convective air and may be used for a variety of applications. Use for surface heat treating, simulation, combustion tests and simulations, environment uses, preheat, drying, powder sintering, test beds, and large and continuous ovens. 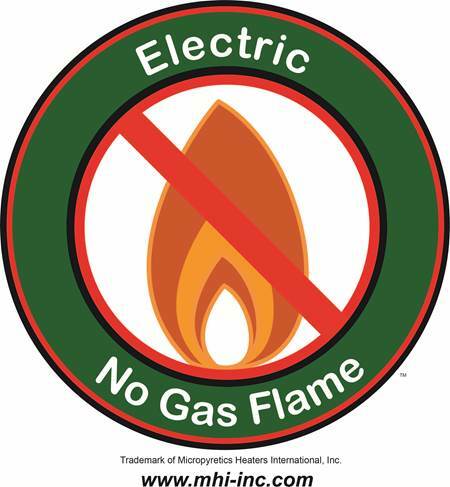 MHI Airtorch systems are extremely energy efficient. Stainless steel or other flanged sealed systems provide both energy efficiency and conservation. New and improved with incredible warranty on heating elements. Use of good certified and MHI tested blowers is recommended. Fans are employed only when the drop in pressure of the system is no greater than approximately 50 in. w.c. (50 in. w.c./inches of H20 is approximately 1.8psi). This condition remains true even when the fan can output large CFM values. Blowers are considered in circumstances where larger pressure drops are present. MHI offers some of the most highest density in-line heaters based on MHI Patents. 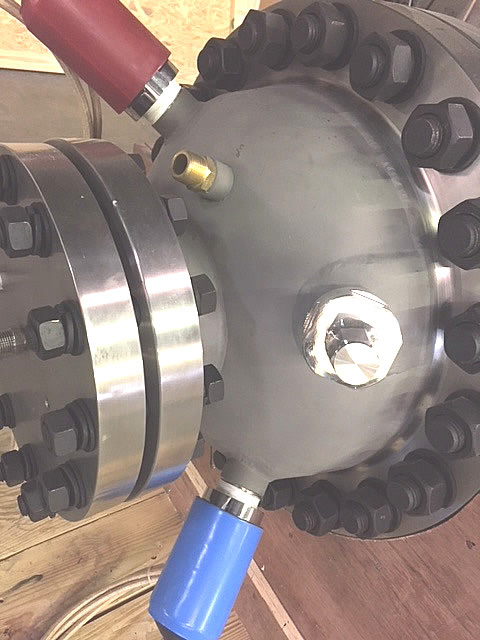 MHI improves its already top of the line Airtorch models with continuous additional patent technology.